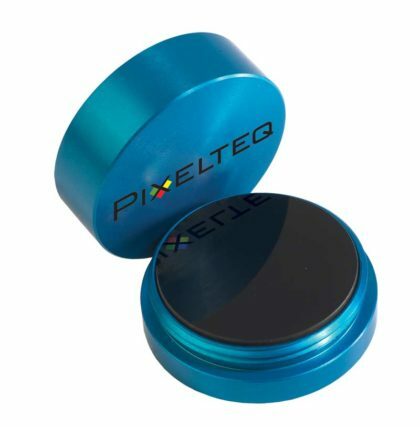 Each Optical Flat is a finely polished optical reference surface that can be used to visually inspect the flatness of optical components such as mirrors, filters, prisms and windows. 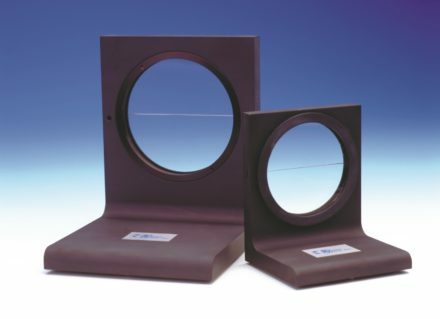 Flats can also be used as windows for interferometry applications. 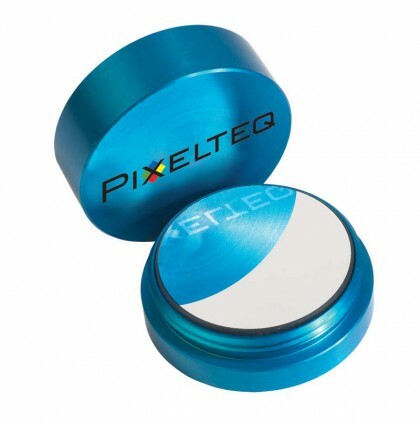 We offer single-sided flats made from either fused silica or Zerodur, each of which can be enhanced with an aluminum coating to increase contrast and improve the visual reference. We manufacture flats ranging from 1″ to 6″ in diameter and with flatness accuracies as precise as 1/20 wave. 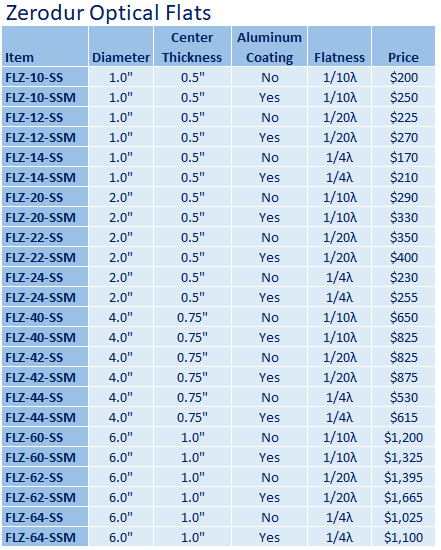 Your selection of fused silica or Zerodur flats depends on the application. 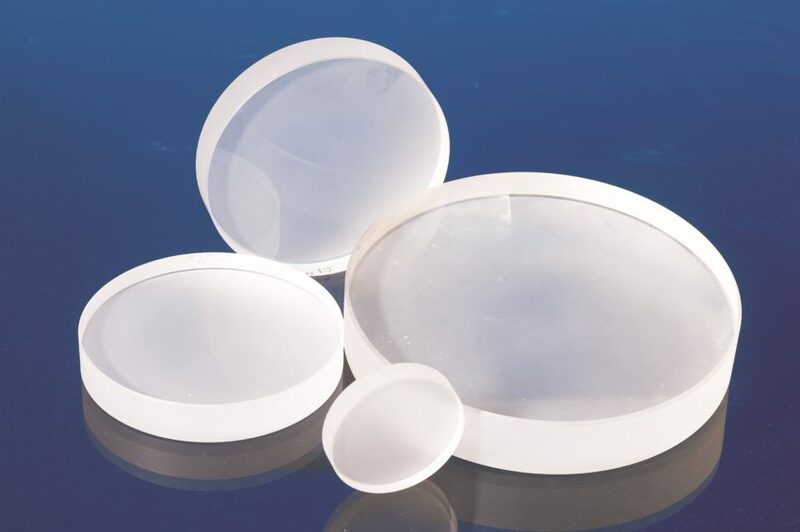 Fused silica has a low thermal expansion and is highly resistant to abrasion. Zerodur is a glass ceramic that exhibits an even lower thermal expansion, making it useful for applications with significant temperature fluctuations. The choice of flatness accuracy depends on the application. For example, if the test surface is flatter than 1/4 wave, a more precise 1/20 wave flat is required to display the interference pattern change. 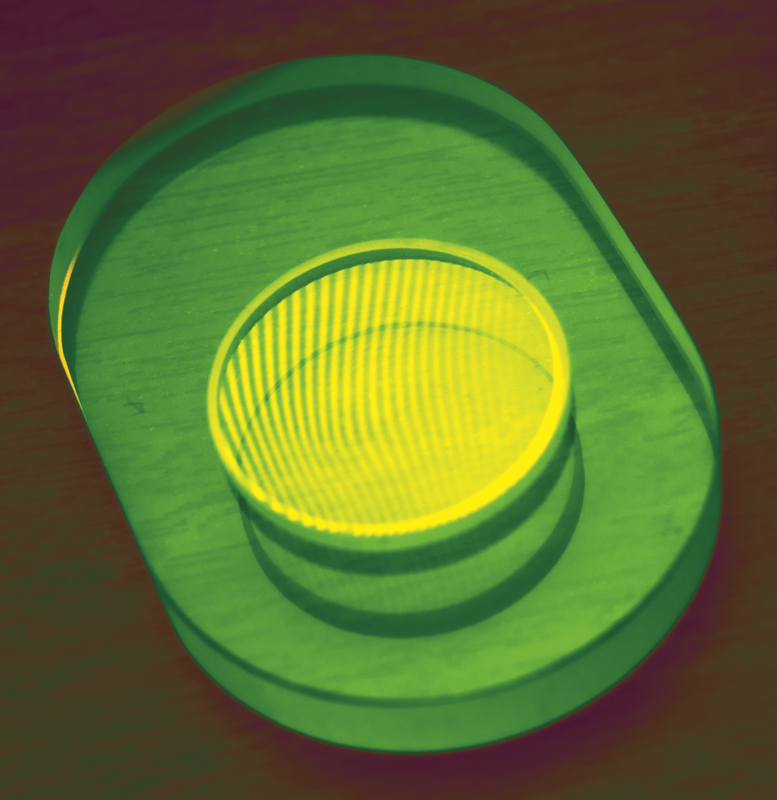 When an Optical Flat is placed in contact with a test surface and illuminated with monochromatic light, an interference pattern of light and dark bands forms. A curved interference patter like the one shown below indicates that the flatness of the test surface is less than that of the reference. Evenly spaced patterns indicate that the flatness of the test surface is equal to or higher than that of the reference. 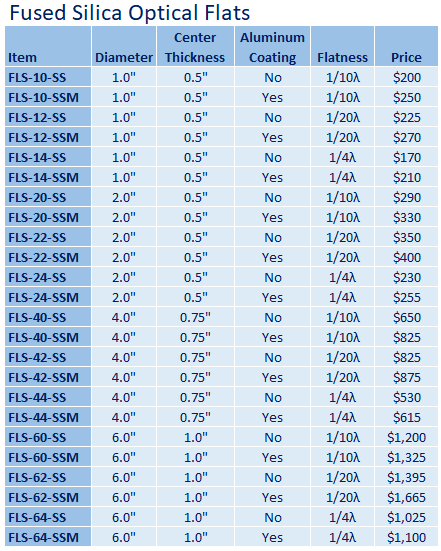 Lead times vary, reach out to info@salvo-technologies for more information.